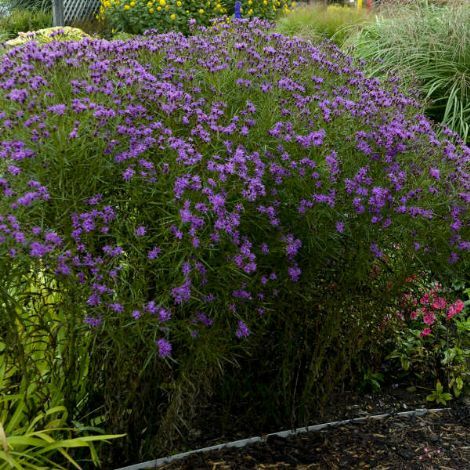 A tidy 4' x 4' vase shaped mound of stems and airy dark foliage are covered by clusters of deep purple flowers in late summer. Southern Cross Vernonia is pretty enough in foliage but in full flower it is a star in the garden and the nectar rich flowers attract a myriad of pollinators and other garden beneficials. As the name implies, Ironweeds are tough as nails in the landscape and make long-lived clump forming perennials that require minimal maintenance or additional care once established. 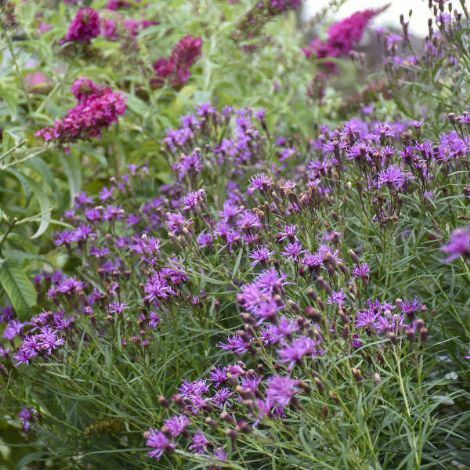 These native perennials are adaptable to a wide variety of soil types and are somewhat drought resistant once well-established. Developed by Brent Horvath of Intrinsic Perennial Gardens. 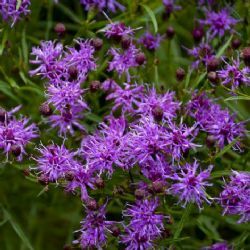 Its parent, Narrowleaf Ironweed, is native to Arkansas with reports for Oklahoma. It is also reminiscent of another rare but popular Arkansas native Arkansas Bluestar, Amsonia hubrichtii. 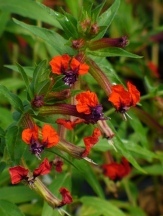 Images courtesy of Walter's Gardens, all rights reserved. 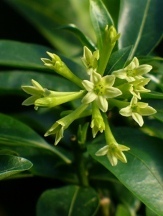 Flowering Period: Mid to late summer to fall. 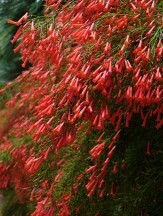 Fertilizing: Early spring once growth begins until about mid summer. 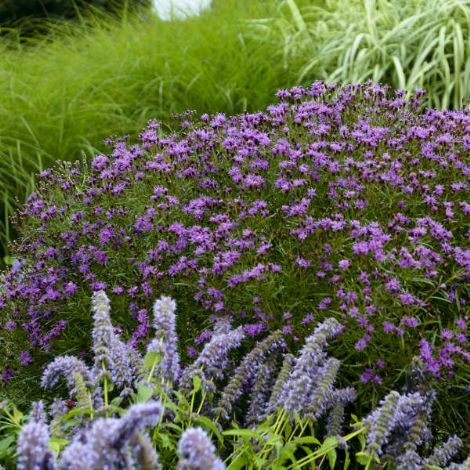 When to Plant: Any time of year from containers with fall, winter, and spring being easiest.